Here’s everything you need to know about the 2nd T20I between Bangladesh and West Indies from Mirpur. 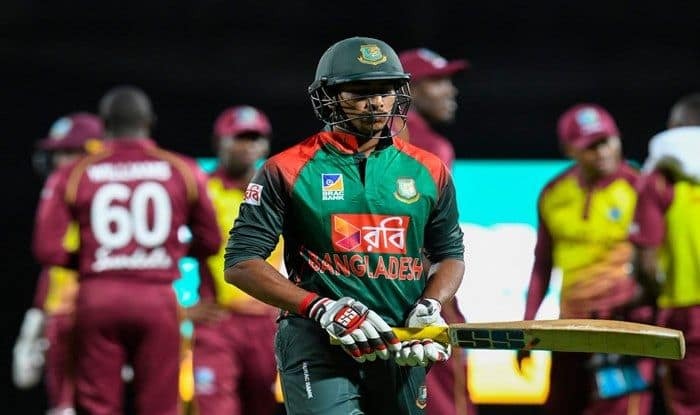 Bangladesh vs Windies, 2nd T20I Live Cricket Streaming: Riding high on confidence after sealing series victories in Tests and ODIs, hosts Bangladesh never expected such an assault in the first game of the three-match T20I series against world champs West Indies. Windies played with mindless freedom and an absolute nothing to lose approach which stunned the cricket pundits and fans alike. On a fairly good pitch to bat on, Windies batsmen made a mockery of the 130-run target which they chased down in just 10.5 overs with eight wickets in hand. Shai Hope’s belligerent assault (55 off 23 balls) was the highlight for the visitors before medium pacer Sheldon Cottrell, chosen Player of the Match produced a match-winning performance by picking up 4/28 to break the back of the Bangladeshi batting unit. Hope is the man with a golden touch in this series: he scored two centuries in the one-day internationals that preceded this T20Is. It was a dream start for the tourists but it came at the cost of the hosts, who not only were taken for runs aplenty but also had nobody except captain Shakib Al Hasan (61 off 43)made any significant contribution. Only three batsmen could get to double-digit scores. Mahmudullah and Ariful Haque put up little partnerships with Hasan but those were not enough. Improvements on the batting and bowling fronts are needed as four of the six bowlers used by Bangladesh in the last match conceded in excess of 10 runs per over. What time will the 2nd T20I between Bangladesh and West Indies will start? The 2nd T20I between Bangladesh and West Indies will start at 4:30 PM. Where is the 2nd T20I between Bangladesh and West Indies being played? The 2nd T20I between Bangladesh and West Indies will be played at the Shere Bangla National Stadium, Dhaka . Which TV channels will broadcast the live coverage of 2nd T20I between Bangladesh and West Indies? The 2nd T20I between Bangladesh and West Indies will be broadcasted live on Star Sports network in India. How to watch the free live online streaming of 2nd T20I between Bangladesh and West Indies? The free live online streaming of 2nd T20I between Bangladesh and West Indies will be available on Hotstar app and Jio TV. What are the probable playing XIs of 2nd T20I between Bangladesh and West Indies? Bangladesh Probable Playing XI: Shakib Al Hasan (C), Tamim Iqbal, Soumya Sarkar, Liton Das, Mushfiqur Rahim, Mahmudullah, Rubel Hossain, Mehidy Hasan, Nazmul Islam, Mustafizur Rahman, Ariful Haque.